Emmanuel Ringelblum, Notes from the Warsaw Ghetto, The Journal of Emmanuel Ringelblum, Jacob Sloan, ed. and transl., New York: Schocken Paperback, 1974, pp. 273-274. See the comprehensive article by Lenore J. Weitzman in Jewish Women’s Archive. This order was given by Reinhard Heydrich, on September 21, 1939. Bronka Klibanski, In the Ghetto and in the Resistance: A Personal Narrative, in Dalia Ofer and Lenore J. Weitzman, eds., Women in the Holocaust, New York and London: Yale University Press, 1998, p. 186. Havka Folman Raban, They Are Still With Me, originally published in Hebrew as Lo Nifradeti Mehem, Israel: The Ghetto Fighters’ Museum, 1997, p. 67. Zivia Lubetkin, In the Days of Destruction and Revolt, Israel: The Ghetto Fighter's House, 1981, p. 43. This agreement, signed by the German and Russian foreign ministers in August of 1939, was a non-aggression pact between the two countries. It contained a secret annex that divided Poland between Germany and Russia. Germany breached the agreement and invaded Soviet-held territory on June 22, 1941. Antek Zuckerman, A Surplus of Memory: Chronicle of the Warsaw Ghetto Uprising, Berkeley: University of California Press, 1993, p. 156. Vladka Meed, On Both Sides of the Wall, Israel: The Ghetto Fighters’ House, 1973, p. 120-121. Gary Scott Glassman, The Couriers of the Jewish Underground in Poland During the Holocaust, available online. Havka Folman Raban, p. 82. Adina Blady Szwajger, I Remember Nothing More, New York: Pantheon Books, 1988, p. 82. Gusta Davidson Draenger, Justyna's Narrative, Amherst: University of Massachusetts Press, 1996, p. 52-53. The word “courier” does not do these women justice. They were much more than messengers. True, they carried mail and information back and forth from place to place. True, also, they smuggled forged identity cards, documents, underground newspapers and money into the sealed-off ghettos of Nazi Europe. However, they were also the first to smuggle guns, grenades, ammunition and other weapons into many of the ghettos. And in addition to the strictly “messenger” part of their job, these girls who risked their lives to move from ghetto to ghetto also served a very human purpose – they inspired and brought hope, along with information, to Jews who would otherwise have been cut off from the entire world, as if to reassure them that they had not been forgotten. 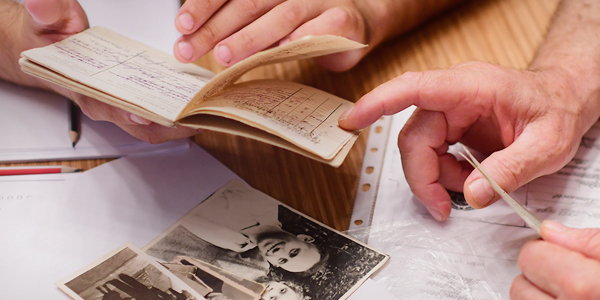 In the dark days of Europe during the holocaust, they were lifelines that connected Jewish communities and isolated ghettos to each other and to the outside world. As such, in this article, as in others3, we will refer to these intrepid girls as “kashariyot”, from the Hebrew word “kesher”, which means connection. This article attempts to pay homage, in some small way, to the kashariyot. One of the first things the Germans did when they initiated World War II, even before Poland had capitulated to the blitzkrieg of the Wehrmacht, was to decree that all Jews in occupied territories be concentrated into ghettos.4 These ghettos were to be located near railway lines. They were to be closed off, with limited entry and exit. They were to be isolated. Although most historians agree that at this early date the Nazis had not yet crystallized their plan for the “Final Solution” of the Jewish question, there were definite reasons for the ghettoization of the Jews by the Nazis. Ghettoization was a means to separate the Jews from other peoples in occupied territories. It allowed the Germans to control the Jews efficiently. And it physically condensed them in preparation for a future arrangement. Each ghetto was different in its internal policies and governance as well as in its external segregation: some were loosely guarded while others were almost hermetically sealed; some were enclosed by high walls while others were surrounded by fences. However, each ghetto was isolated and cut off from the world around it. Travel by train was prohibited for Jews. Mail was censored. Radios were forbidden. This was all part of the German plan. Sealed inside their ghettos, Jewish political parties, youth movements and other organizations in different cities could no longer keep up their contacts. There was no way to know what was happening on the other side of the ghetto gate. The Jews needed to find some way to reach the outside world and communicate with each other. Out of this need, the courier system was born. Youth movements were the first to send their members across borders to reach other ghettos. 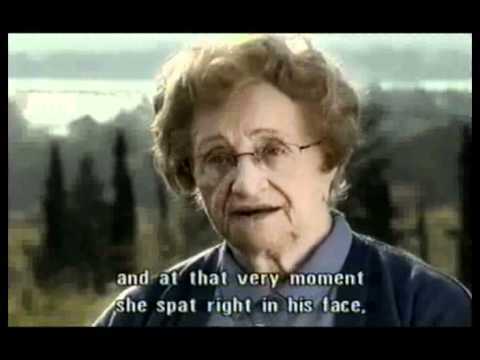 However, it became increasingly dangerous for Jews to be found outside their ghettos – the Germans, early on, began to impose the death penalty on anyone so found. At this stage, the Jews trapped in their ghettos began more and more to rely on women as kashariyot. This occurred for a number of reasons. First and foremost, a Jewish man could easily be identified as such – he had only to be ordered to drop his pants and the telltale sign of his circumcision would give him away. In addition, men who were out and about on the streets generated suspicion – why weren’t they at work? It was much easier for women to stroll the streets, seemingly carefree, on the way to a lunch date with friends, or casually shopping. Women were also more likely to speak the local language; for instance, many women had been educated in Polish secular schools, while the boys had undergone mostly religious instruction in heder. The girls, therefore, spoke Polish fluently, without an accent or a Jewish inflection that could give them away, and felt more at home on the Polish street. An additional reason why girls and women made excellent kashariyot was their intuition. 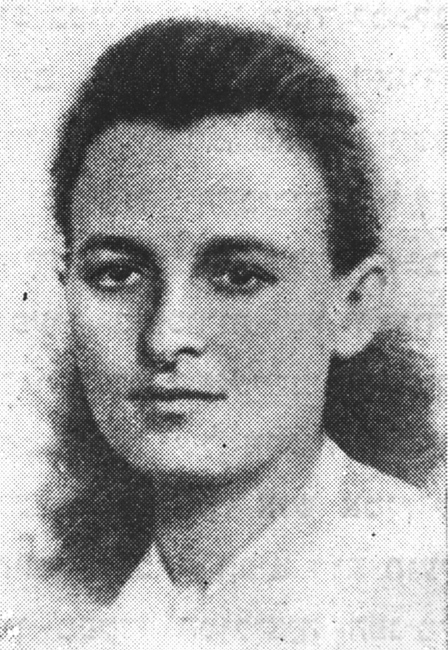 Bronka Klibanski, a courier who connected the ghettos in the area of Bialystok and Grodno in Poland, wrote, “In comparison to men, it seems to me that we women were more loyal to the cause, more sensitive to our surroundings, wiser – or perhaps more generously endowed with intuition…”5 This intuition helped them to sense when someone on the street was staring at them a little too long, when someone could be trusted, when a contact was actually a Nazi collaborator, and when to cut and run. 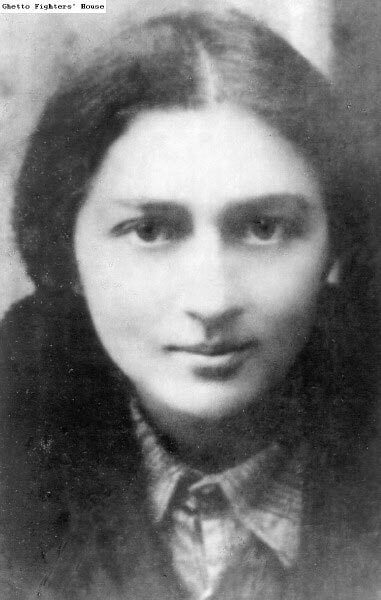 Frumka Plotnicka, one of the pioneer underground leaders in Poland. Once the Germans began to exterminate the Jews, however, the role of the kashariyot changed. The extermination policy was launched by the Einsatzgruppen, the mobile killing units that entered Soviet territories right behind the Wehrmacht, as it fought its way into Russia after Germany breached the Ribbentrop-Molotov agreement.9 At this point, in the fall of 1941, the Germans had decided upon the “Final Solution” to the Jewish question. However, the Jews did not yet recognize that the Germans’ intention was to destroy the entire Jewish nation. A key role was played by the kashariyot, who spread the word about the killing units and the shooting operations. It was the information spread by the kashariyot that enabled Jewish leaders in farflung places and in different communities to put the pieces of the puzzle together and to realize that the German plan was not merely to massacre Jews in certain locations, but to kill all the Jews of Europe. In performing their missions, the kashariyot had very little to rely on, other than forged papers and “good” looks – meaning facial features that didn’t give them away as Jews. Some of the couriers bleached their hair blonde; others, including Frumka Plotnicka, had to be convinced to wear makeup to disguise their features. Not all were blonde-haired or blue-eyed. Yet there was one trait that all the couriers required in order to succeed. They all had to have incredible poise and nerves of steel to get them through checkpoints, over borders, into and out of ghettos, and around Europe with illegal documents, weapons and other contraband – in other words, to take the risks they took every day. It would be an understatement to say that the missions of these women were fraught with constant danger. Many of the kashariyot lost their lives trying to fulfill their assignments. It is hard for us, decades later, to appreciate the constant fear and danger in which these young girls lived, worked and operated. 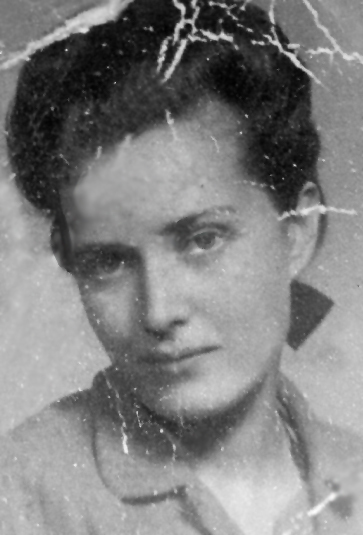 Gusta Davidson Draenger, a courier in Krakow known by her Polish alias “Justyna”, wrote a diary from her prison cell after being captured by the Gestapo. 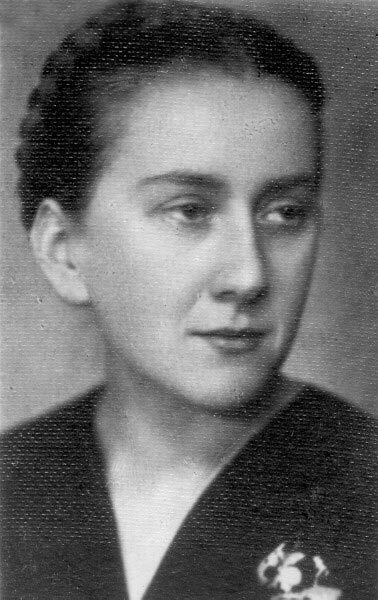 In her diary, written at great risk on sheets of toilet paper smuggled into her cell, she described the perils faced by anyone trying to pass as a non-Jew. 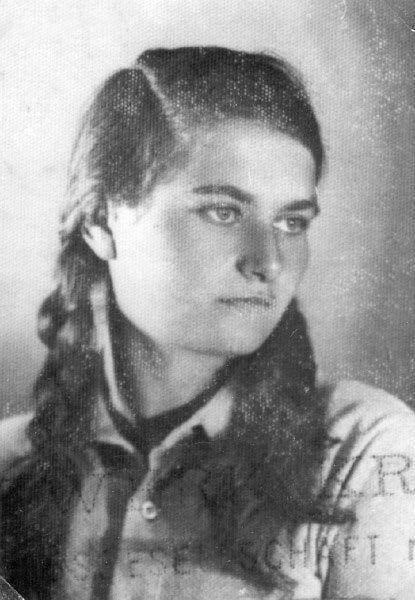 The kashariyot were no more and no less than young Jewish girls, many barely out of their teens, caught in the horror of Nazi-occupied Europe. They showed exceptional loyalty to their movements, and to their people. With unfathomable bravery, they faced incredible dangers every minute of every day, and yet somehow found the strength to continue with their missions, or to die trying. They are icons of heroism, and they shatter many stereotypes: that the Jews went to their deaths like sheep to the slaughter, that women are less capable than men of resistance. Despite all this, the glorious page of history which is their due has not yet been fully written. It should be. In light of their achievements and their exploits in the nightmare of the Holocaust, we can only be in awe of them.